Amanda Boston is a Provost’s Postdoctoral Fellow and an Assistant Professor/Faculty Fellow at the Marron Institute of Urban Management. She holds a Ph.D. and an M.A. in Africana Studies from Brown University, as well as an M.A. in Political Science and a B.A. in Political Science and African & African American Studies from Duke University. Amanda’s research, writing, and teaching focus on twentieth-century African American history, politics, and culture, with an emphasis on the politics and culture of race in the post-civil rights era. Her current projects combine these interests, and explore gentrification’s racial operations in her hometown of Brooklyn, New York, and their role in the making and unmaking of the borough’s black communities. In addition to developing her own research, Amanda is assisting the Office of the Provost with cross-school projects including the Urban Initiative and the Strategies to Reduce Inequality Initiative. 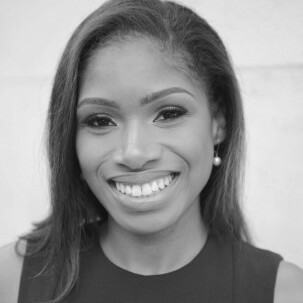 Amanda has received a Ford Foundation Dissertation Fellowship, as well as research and writing support from the Social Science Research Council, the Woodrow Wilson National Fellowship Foundation, and the Mellon Mays Undergraduate Fellowship program, among other sources.